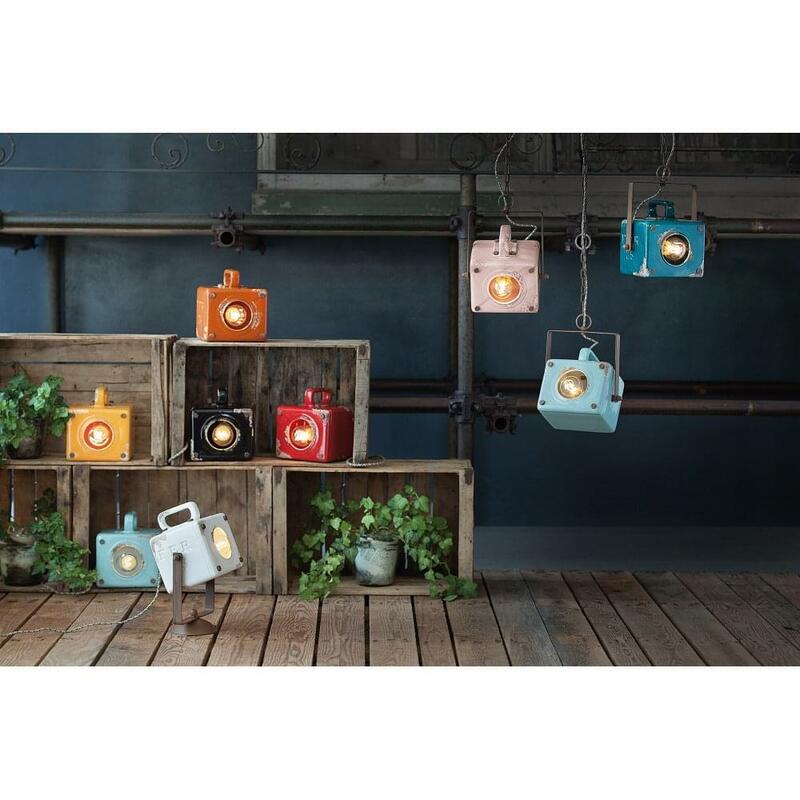 This captivating ceiling pendant from Ferroluce Retro features an eye-catching cube design packed with fun vintage-inspired features. Suspended with an industrial bracket and cord combination these playful ceiling lights can be used throughout the home or to illuminate artwork or focus areas with their bright beam of light. A range of other vibrant colours are available – including Green, Powder Pink and Red. View All Ferroluce Retro lighting for more information on Cubo or view the complete Cubo Collection.